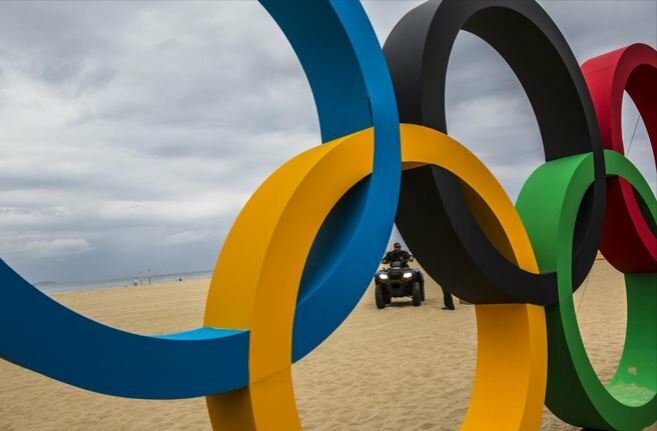 September 20, 2016 – Athletes at the Rio Olympic Games this summer were able to spend money with a wave of their finger, thanks in part to Birmingham’s Prepaid Technologies. Prepaid joined forces with Visa to provide advanced prototype payment rings for Team Visa, allowing its athletes to make purchases and withdraw cash without carrying around a wallet or credit cards. The Team Visa ring is part of an emerging tech trend called wearables, fueled by the rise of the Apple Watch and health trackers like the FitBit. Prepaid’s President Stephen Faust said Visa contacted the company this spring with the idea from Visa’s innovation lab. They had a vision for wearables like rings and bracelets for their Olympic athletes, all backed by reloadable Visa accounts. The rings, which don’t need charging and are water resistant up to 50 meters, are near field communication (or NFC) enabled. A subset of radio-frequency identification, the same chip technology found in pet microchips or public transport passes, NFC tags and readers typically must be within 10 centimeters to work. At NFC-enabled retailers or ATMs, wearables act like debit or prepaid cash cards. Faust describes Prepaid’s role as “quarterbacking,” ensuring Visa’s playbook came to fruition on the field. Founded in 1998, Prepaid considers itself a pioneer in the electronic payments space. The company provides services to make electronic payments more efficient for companies like payroll cards, essentially prepaid debit cards in place of paper payroll checks. Prepaid also provides promotional or specialty payment programs for brands like Staples and Nissan. Prepaid believes wearable tech is an industry worth exploring: they’re currently working on another project with MasterCard and U.S. Youth Soccer. A wearable might simplify money for parents hesitant to dole out cash to their kids or players likely to lose a debit card in a mess of soccer equipment. At the moment, wearables aren’t meant to replace your wallet and credit card. Instead, the technology could be used to simplify small-scale transactions, like buying coffee after a morning jog. Faust says there is also a lot of interest in entertainment and sports industries. NFL or MLB teams could provide season ticket holders their passes on wearables, and people could load them with money to buy concessions or merchandise in the stadium. Businesses or retailers find value in the technology as much as consumers, Faust said, as they can tie in promotional material and savings. According to market research firm Gartner, 50 percent of consumers in North America, Japan and some Western European countries will consistently use a combination of smartphone and wearable payments by 2018.